When a community is struck by calamity—no matter its origin or form—confusion, conflict, and loss, often unimaginable, follow. Most vulnerable to the turmoil are children, and the community’s future rides on the decisions made for and about them. The German invasion of Poland in September 1939 set off a series of events that forever altered the Jewish community of Lodz, Poland, one of the largest in Europe. Despite the Germans’ violent oppression and imposed squalor and hunger, the community leadership strove to create a “normal” world for the children as long as it could. 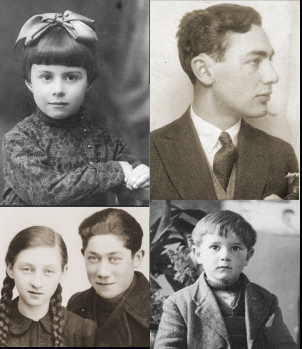 The Jewish children of Lodz suffered the unfolding harsh realities and recorded their experiences. Their voices—preserved in letters, diaries, memoirs, and oral histories—as well as historical photographs, original documents, and objects from collections around the world offer a view into the struggle of a community and its young to live in spite of the most difficult circumstances. On September 23, 1941, on the occasion of the Jewish New Year (Rosh Hashanah) and just before the start of the fall school term, the Lodz ghetto schoolchildren presented ghetto leader Mordechai Chaim Rumkowski with an elaborate album. The greetings to Rumkowski combine traditional holiday wishes with profuse thanks for the schools and, on almost every page, for the life-saving daily meals. In the spring and summer of 2007 the Museum hosted a public program series featuring survivors of the Lodz ghetto. 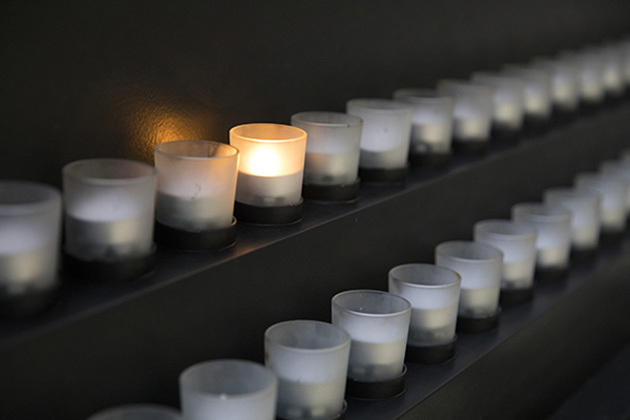 The survivors discussed from their own personal perspectives what it was like to experience a community struggling to live in spite of the most difficult circumstances during the Holocaust. Two photographers, Walter Genewein and Mendel Grosman, did extensive photography of the Lodz ghetto from the time it was formed to the time the inhabitants were deported. Photo Archive director Judy Cohen compares the two photographers. The special exhibition at the Museum was made possible in part with the sponsorship of Mildred Hofberg and Sandy & Stanley Bobb, Dan K. Wassong, Benjamin & Seema Pulier Charitable Foundation, Inc., and The Blanche and Irving Laurie Foundation, with additional support from the Lodzer Organization of California, The Marian & Eva Rokacz Family Foundation, the Helman Family, and the Stulberg Family. The Museum’s exhibitions are also supported by the Lester Robbins and Sheila Johnson Robbins Traveling and Special Exhibition Fund established in 1990.